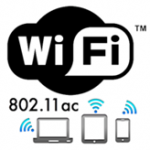 Wi-Fi Direct® is an IEEE 802.11 wireless network protocol that supports direct wireless connections between compatible devices. Wi-Fi Direct uses peer-to-peer connections to perform common networking tasks. With Wi-Fi Direct users can quickly and securely share, print, display, and sync files between linked devices. 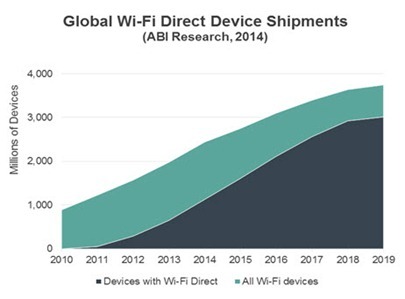 According to ABI Research (Figure 1), 2013 shipments of Wi-Fi Direct devices reached 636 million. 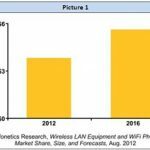 By 2018, ABI Research forecasts just under three billion Wi-Fi Direct device shipments, including 90% of tablets, 61% of mobile phones and 57% of smart TVs. 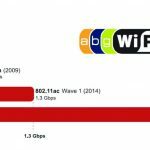 However, despite the increasing volume and variety of Wi-Fi Direct devices available on the market, there is a significant lack of standardization among these products. This causes problems for consumers who wish to use Wi-Fi Direct features, since the peer-to-peer services and user experience are different for each device. In response, the Wi-Fi Alliance has introduced a new peer-to-peer service structure featuring five enhanced Wi-Fi CERTIFIED Wi-Fi Direct® services: Send, Play, Display, Print, and Enable. Figure 2 shows these five services supported by a new Applications Services Platform that supports new automated discovery and control functionality for more convenient Wi-Fi device interoperability. 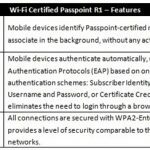 To ensure quality, devices that support Wi-Fi CERTIFIED Wi-Fi Direct® services must pass certification. – Send: This service allows two or more devices to share files or other data with minimal user interaction. – Play: This service uses DLNA protocols to establish a multimedia connection between source and sink devices. – Display: This service uses Miracast® for device screen sharing. – Print: This service prints documents with a single command sequence. – Enable: Application developers can use this service to develop and deliver customized or advanced functionality. Wi-Fi Direct Service Sessions (see Figure 3) are sequenced events that depend upon the successful initiation of each preceding step in the sequence. – Discovery: Wi-Fi Direct Services (WFDS) are first advertised using either probe or service discovery request/response frame exchange methods. – P2P Connection: Once a device discovers a WFDS, the P2P connection procedures use provision request/response frames to form a P2P group. – ASP Session: An Application Service Platform (ASP) session forms a logical link between ASPs running on devices through a P2P connection. – Service Session: A service session forms a logical link between WFDS services running on different devices through an ASP session. – Service Advertiser: A device that advertises a service (printer). – Service Seeker: A device that seeks out services (print transmitter). 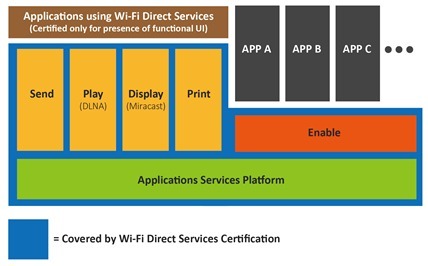 Wi-Fi Direct Services (WFDS) validation is currently voluntary, yet it is an important quality assurance step for any company promoting Wi-Fi compatible devices. 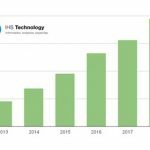 This is especially true for Wi-Fi compatible devices that support multimedia content sharing such as TVs, smart phones, printers, tablets, or wearable devices. Since these are some of the most popular (and profitable) consumer devices on the market, it underscores the importance of improving Wi-Fi device interoperability through expanded WFDS validation. These device tests verify that WFDS frames conform to the Wi-Fi standard. This requires detailed examination of Discovery, P2P Connection and ASP Session Management. These tests are required for every test device (DUT), no matter what Wi-Fi Direct services the DUT supports. These tests verify that the Discovery and P2P Connection steps meet the WFDS process specification requirements. This testing basically ensures that file transfers proceed quickly and completely. These tests analyze multimedia content sharing between source and sink devices. This sharing must meet the Wi-Fi Direct-Play service standards, which use the DLNA transfer protocols. 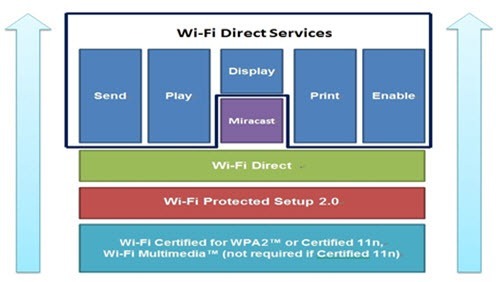 These tests evaluate screen mirroring with Wi-Fi Direct-Display Service, which use the Miracast transfer protocols. 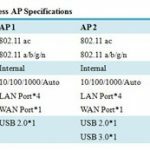 These tests check device conformance with the Wi-Fi Direct-Print Service. These tests verify the settings for Enable API and whether or not the column conforms to the standard. This ensures that the DUT meets the Wi-Fi Direct-Enable Service standard. As these test procedures usually take at least two weeks to complete, excluding additional time for resolving inconsistent certification results and debugging problems, we suggest that companies reserve at least a month of lead time for WFDS testing. This will add flexibility to the test project schedule and reduce the risk of costly shipping delays while you wait for your product to clear Wi-Fi Direct Services certification testing. Allion continues to provide comprehensive product testing services and professional engineering solutions to its customers. WFDS validation is just the most recent addition to our wireless device testing services. Besides a full-range of Wi-Fi standards testing, we also offer product compliance services for other wired and wireless connectivity standards. Besides these basic testing services we also offer value-added consulting services to improve your product designs and user experience. For more information about any of our services, please contact us at service@allion.com. ← G.hn, the Ultimate Wired Broadband Solution?